Addressing the annual Joint Advisory (JAG) meeting, Jean-Marie Paugam, Deputy Executive Director of the International Trade Centre (ITC) emphasized four innovative contributions that ITC makes to build more inclusiveness into the world trading system by providing access. ‘Delivering access to trade and market information,’ said Mr. Paugam, ‘is ITC’s first and most important mission, and is a public good.’ Under this mandate, ITC provides cutting-edge information services to small and medium enterprises (SMEs) and trade support institutions (TSIs) globally. There are currently 155,000 users of ITC’s tools in 224 countries, with a high intensity of use from individuals in least developed countries (LDCs). The second important area to which ITC provides access, said Mr. Paugam, is decision-making tools. This includes building constituencies for external trade by empowering TSIs in developing countries, helping organize dialogues between private sector actors and governments, cooperating with regional integration secretariats, and mainstreaming a gender focus in projects to promote the role of women in trade-related decision-making bodies. Access to markets is key for sustainable job creation, said Mr. Paugam, noting that this is the third area to which ITC provides access. 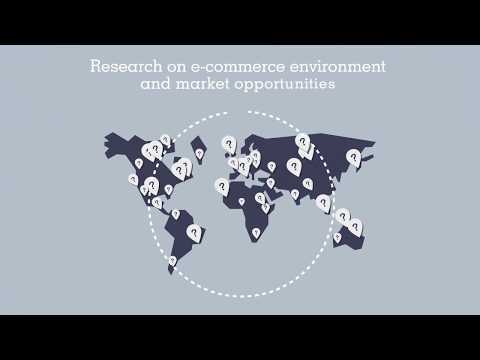 ITC assists in building the capacities of developing countries to obtain access to markets by working on preparations for WTO accessions, helping SMEs to climb up the value chain and find new markets, and by supporting the integration of producers from poor countries into major international value chains. Dr. Supachai Panitchpakdi, Secretary-General of the United Nations Conference on Trade and Development (UNCTAD), warned in his opening speech that the global economy has not come out of the danger zone, and that partial recoveries in different places do not constitute a full recovery. Turning to the status of least developed countries, Dr. Supachai said that the recent Fourth United Nations Conference on Least Developed Countries provided some gains and insights including that there is much more work to do with the private sector, adding, ‘ITC has been quite outstanding in this task.’ He also mentioned that ITC, UNCTAD and the WTO need to continue to work together on creating supply capacity building. The Chair of the 45th JAG, H.E. Hisham M. Badr, Ambassador to the Permanent Mission of the Arab Republic of Egypt, remarked on the historic changes in the Arab world, and noted that a key challenge to countries undergoing transition was to stimulate the economy and all its productive capacities with a view to creating the needed work opportunities for the millions of unemployed and new entrants to the job market. The Ambassador said he had no doubt that ITC has an important role to place in this regard. As well as reviewing ITC’s programmes and priorities, the two-day JAG meeting will hear updates on ITC’s 2011 performance to-date. Two panel discussions will also be held on the themes of trade capacity for acceding LDCs and LDC-IV follow-up in tourism-related project formulation.